Winter is officially here, and for many, the fear of mice entering their Knoxville home is a very real threat. Like all warm-blooded creatures, mice seek shelter from the cold. These small, furry critters can quickly become a big problem that puts you, your family, your guests, and your pets on edge. While mice are quite cute with their teeny little bodies, their itty bitty beady eyes, their enormous ears, and their funny whiskers, they can spread disease and attract other pests. Looking to safeguard your home from mice this winter? 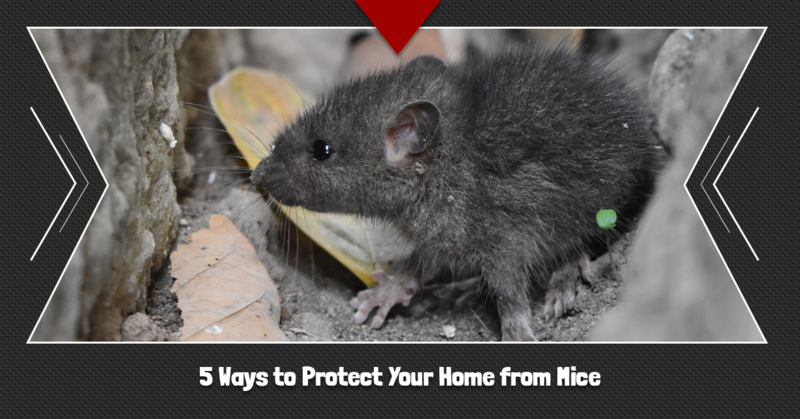 The friendly rodent control team at Critter Wranglers has five tips for you to consider for keeping the mice away. Think you already have mice in your home? Your Top Rated Local® pest control team in Knoxville is only a call or a click away! After the holiday parties have ended and the holiday decorations are put away, it’s time to give your home a good cleaning. Taking the time to deep clean your home after the holidays can help keep the mice away during winter. Thoroughly clean out your kitchen, pantry, and dining areas to ensure every last crumb or spill is cleaned up. Sweep, vacuum, and dust areas where food and other debris may be lingering from the holiday fun. This might include areas underneath furniture, coffee tables, rugs, and even the bed. Inspect the walls, windows, doors, drains, eaves, and other surfaces of your home for holes, gaps, cracks, and other openings where mice can enter your home. Keep in mind that mice can squeeze their bodies through openings as small as a dime. Once you have determined where any potential points of entry are, seal these openings using steel wool, caulk, or even thick hardwood. Mice need water to survive, and just like they do for food, they will seek out a plentiful water source to access during winter. Inspect your bathrooms, kitchens, laundry rooms, and basements for leaks and repair them immediately. Many folks let the fall clutter build up, which can become a haven for rodents like mice. Clean up any clutter such as leaves, sticks, garden debris, and other organic materials that have accumulated in your yard or against your home. Be especially careful when bringing in piles of wood to burn in the fireplace, as mice and other pests often find shelter in stacks of firewood. It is essential to store all your food properly. Whenever possible, use containers that seal shut when storing dried food goods in your pantry. Mice can easily chew through cardboard boxes and bags containing chips, crackers, cereal, and other dried goods. What’s more, always store pet food — whether it is stored in the kitchen closet or in the garage — in containers that seal shut, such as large plastic bins. Mice can chew right through a dog or cat food bag to get to the scrumptious kibble inside. If you have mice in your home or on your property, you’ll want to take care of the problem right away — and we have a safe and effective solution. At Critter Wranglers, there’s no mice problem that is too big or too small for our team to handle. Simply call us or reach out to us online to set up a mice inspection, and we’ll determine the quickest, safest, most effective method for removing mice from your home. Furthermore, we’ll keep them from coming back. We offer one-time pest removals and monthly pest control services, ensuring we eliminate your pest problem for good. Don’t spend time searching “pest control near me.” Simply contact Knoxville’s Top Rated Local® pest control company that always has your safety and well-being in mind.